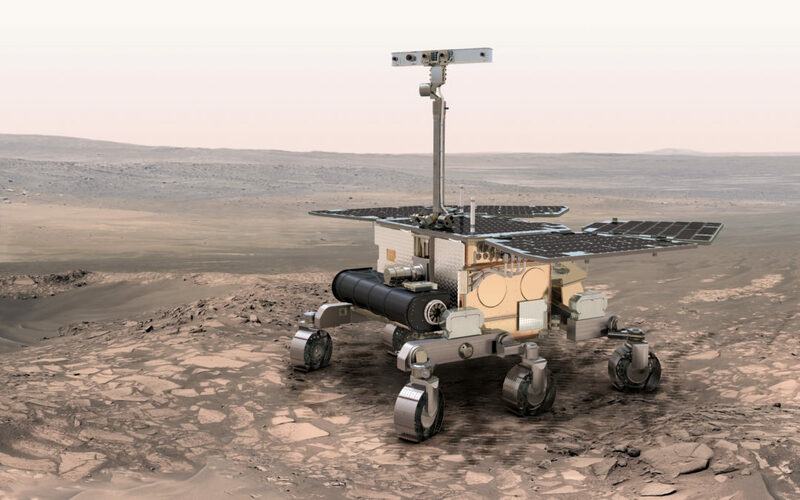 To continue pursuing its goal, ExoMars will have a second phase, Exomars 2020, that consist in the Exomars 2020 Rover and the Surface Platform. The Surface Platform will remain stationary investigating the local surface environment and performing long-term climate monitoring and atmospheric investigations. Meanwhile, the Rover will move around several kilometers and look for biological traces down to two meters under de surface. The material extracted from the underground will be analyzed with next-generation instruments in an onboard laboratory. One of the most important instruments in this laboratory, whose database we designed, is RLS. RLS will perform Raman spectroscopy on crushed powdered samples inside the Rover’s lab. Raman spectroscopy uses a laser beam to interact with matter and measure its vibrational modes (vibrational, rotational, and other low-frequency modes). This will allow the RLS to establish the mineralogical composition of the samples and identify organic pigments if present. Hopefully it will be the first instrument to detect this kind of organic molecules outside our planet. 2020 ExoMars’ Rover, the final design.